Successful weight loss often comes down to controlling your hunger and cravings. 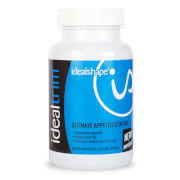 The Appetite Control Blend in IdealTrim combines two powerful ingredients to put you in control of your eating choices: Slendesta® and Garcinia Cambogia. 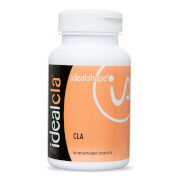 Slendesta is the same unique hunger-blocker used in IdealShake, IdealBars and IdealBoost. It’s a potato protein extract that triggers the natural release of the hormone CCK, telling your brain that you’re full. Slendesta is proven to replace feelings of unnecessary hunger with feelings of satisfaction for up to three hours. 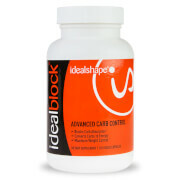 Garcinia Cambogia is the other unique ingredient in this hunger control blend. By improving blood glucose levels, it helps tame sugar cravings and prevents excess blood glucose from being converted to fat. An important component of weight loss is helping the body let go of water weight. IdealTrim’s weight loss blend is designed to reduce bloating and help promote a healthy urinary tract by combining the natural diuretic benefits of Buchu Leaf, Dandelion Root and Uva Ursi. IdealTrim also contains vitamins B6 and B12, which are known to facilitate energy metabolism, helping your body process the nutrients you eat and convert them into energy. Metabolism goes hand in hand with energy levels, so B vitamins also help you feel “on top of your game” every day.